Being a coffee lover, this type of product spoke to me on a primal level. As if, I could get my coffee intake through the skin. Well this is not so far from how Pacific Shaving is selling this product line. 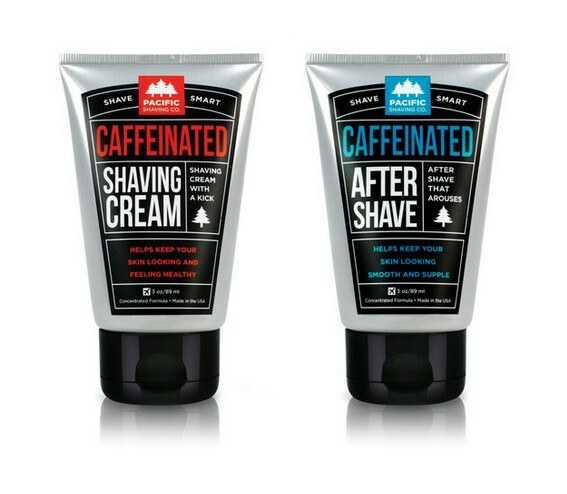 Their rationale is that caffeine has positive awakening effect on skin. OK – I will play along with that. And I ordered a set of shaving cream and after shave. At the time, the Canadian dollar was at par with the US dollar and shipping was still following the free-trade principles – so I placed my order. When I tried the shaving cream I was totally impressed. It had an unexpected soft and creamy texture. Since it was packaged in a tube I was expecting something a tad firmer, not like something coming out of a can like foam. 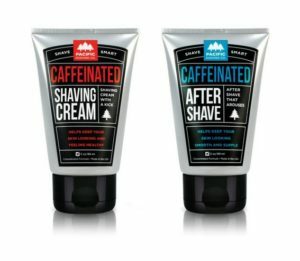 The feel was very refreshing – so the caffeine does do something to the skin – cool. The shave with this cream was splendid. Very comfortable and plenty of lube for the blade. Top notch shaving cream. After a hot towel post-shave rinse, I tried the after-shave. This second product is completely acceptable but it felt a tad displaced when compared to such a fabulous shaving cream. The after-shave was somewhat too simple. It felt pretty much like any other hand cream. Too tick. I did use it all up over the next months so it couldn’t have been that bad, but the shaving cream was just so much better. By the time I was ready for more of their shaving cream, the Canadian dollar had dropped and shipping rates had gone up. So I have remained on my appetite since. If you can get a hold of one of their frequent sales or happen to go to the US, the products are sold in various large surfaces stores.